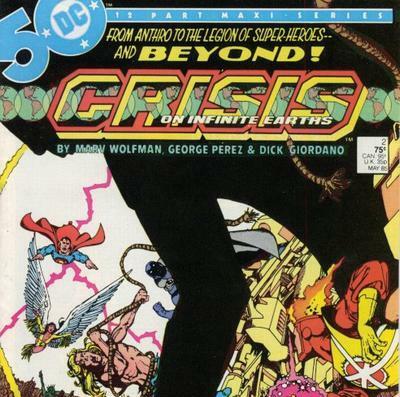 For the landmark 50th episode of Cosmic Treadmill, Chris (@AceComics) and Reggie (@reggiereggie) celebrate with the 50th anniversary celebration of DC Comics, and read issue #2 of Crisis on Infinite Earths by Marv Wolfman and George Pérez! After some creator bios and an exhaustive look at the conditions that created the DC Multiverse, our intrepid comics enthusiasts sift through every appearance of a central figure to Crisis--before the event ever happened! After a break, our Treadmillers summarize issue #1 and detail issue #2 of Crisis on Infinite Earths! And that's all we have time for this week--tune in next Sunday for part two of this series! The first Weird Comics History two-parter fills out our "Old Home Week" (so, technically this is the fifth... and sixth one) as we discuss Julius Schwartz and the Silver-Age of DC Comics. Check us out on iTunes, Stitcher, Google Play... just about anywhere you get podcasts, you get us! 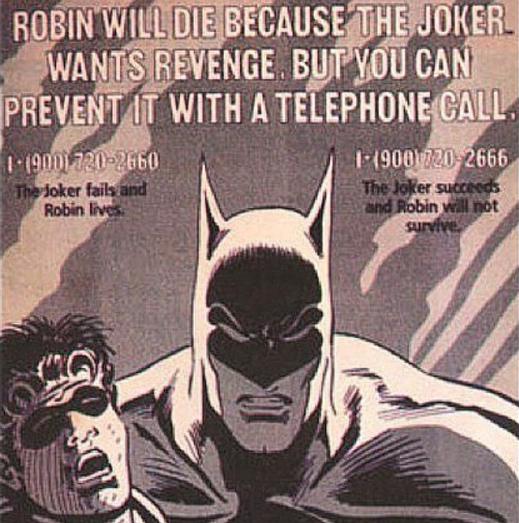 Old-Home Week continues as Chris (@acecomics) and Reggie (@reggiereggie) briefly... ever so briefly, discuss how 50 cents could have either saved... or killed Batman's second sidekick! They also reminisce about 1-900 numbers, so there's that. 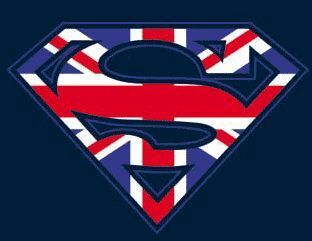 Weird Comics History, The Third One: The British are Coming! 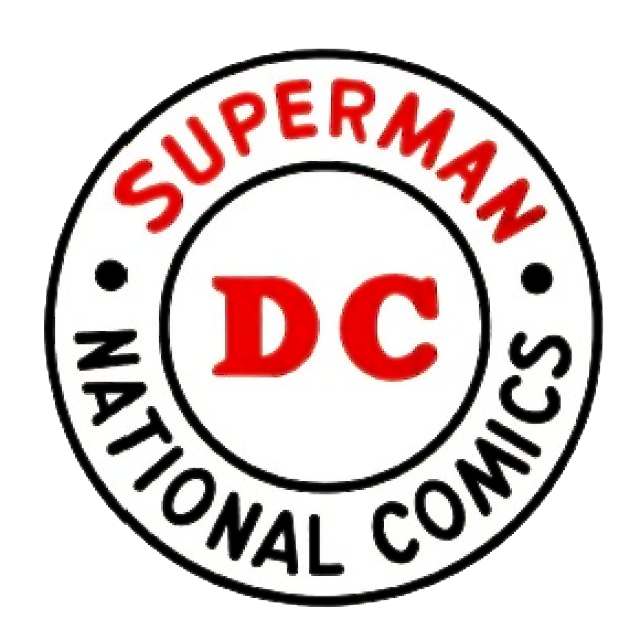 As part of Weird Comics History's "Old Home Week" join Reggie (@reggiereggie) and Chris (@acecomics) as they discuss the British Invasion of DC Comics during the 1980's. They discuss some of the heavy-hitters to venture across the pond to produce some incredible work for old DC. They also both totally forget that Grant Morrison is Scottish. Whoops! Mea Culpa... or would that be Wea Culpa? 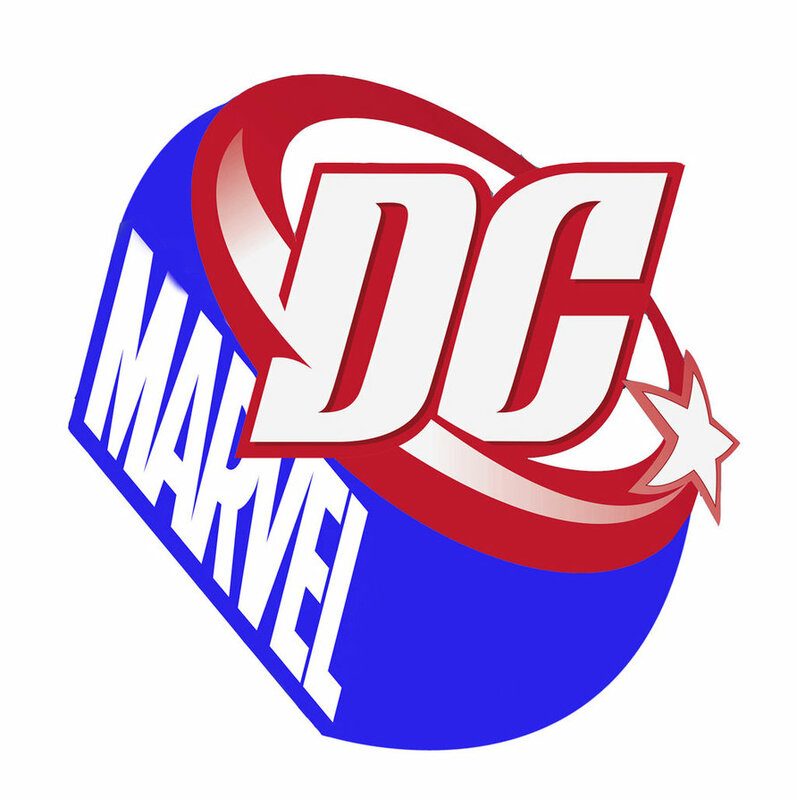 Weird Comics History, The Second One: Marvel Buys DC?! Join Chris (@AceComics) and Reggie (@reggiereggie) for some Weird Comics Prehistory... that is to say, a very early (and relatively short) installment of Weird Comics History! This time around they discuss that strange time in which Marvel came thiiiiiiiiiiis close to licensing DC's characters! How can that be? Well, hit that Play button and find out! 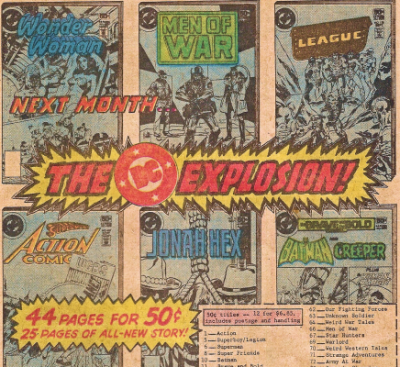 Weird Comics History, The First One: The DC Explosion! Behold, the first ever episode of Weird Comics History... from back when it was a 15 minute-ish segment on the Weird Science DC Comics Podcast. Listen as Reggie (@reggiereggie) guides podcasting neophyte Chris (@AceComics) through his "first time out". This inaugural auditory jem, we discuss the events leading up to... and falling out of the DC Explosion! Marvel at the clunky stammering, behold Chris in all his mic-less glory! Hey, at least it's just 15 minutes! In this episode, Chris (@AceComics) and Reggie (@reggiereggie) examine the little-known and once-used technique of "Gumping," that is to take a classic comic book (Amazing Spider-Man #47, for instance) and update it with new themes and characters like those that can be found in Deadpool #11 from 1997, written by Joe Kelly and drawn by Pete Woods! After some biographical information, it's on to the time-traveling, continuity-shattering events of the comic book to hand. 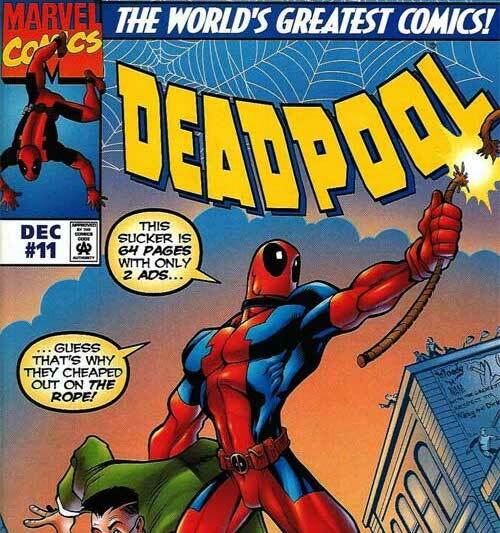 Then, some wrap-up and a list of other comic book characters to break or obliterate the literary fourth wall. And finally: some listener mail! It's an episode jam-packed with silliness, so bring a happy attitude! Join Chris (@acecomics) and Reggie (@reggiereggie) as they travel back to 1980's New York City to discuss the 1986-1987 series Angel Love by Barbara Slate. Luckily this is they discovered their passion and... ahem, talent... for voice acting! During the summer of 1986 most DC Comics featured a most curious house-ad promising, among other things at least the passing mention of COCAINE?!! What many comics enthusiasts may not know is this book actually DID came out later on that year! Angel Love is a New York transplant coming from a quiet corner in Scranton, Pennsylvania hoping to strike it big as a cartoonist. Along the way she will face drug-addicted boyfriends, a vapid (and more fun to read about) roommate, a bum who likes to sleep on her couch, and countless chatty cockroaches. Is this what life in the big city’s all about? Find out with us as we check out Angel Love. 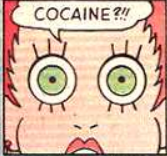 TAGS: Angel Love, DC Comics, 1986, 1987, 1980s, Barbara Slate, Karen Berger, Romance Comics, COCAINE?!! This week, Chris (@AceComics) and Reggie (@reggiereggie) sift through some of the seamy world of Underground Comix and read Rip Off Inc. Presents Underground Classics Wonder Wart-Hog vol. 1 from 1986! Collecting various strips from the early days of Wonder Wart-Hog, they concentrate on the three-chapter story "Wonder Wart-Hog Meets the Mob!" 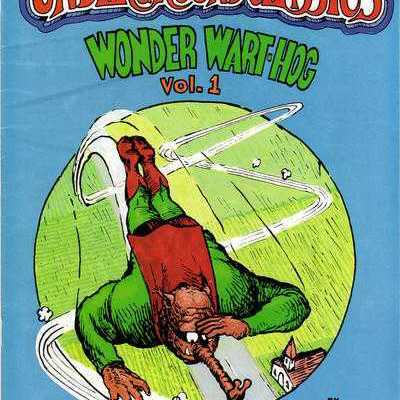 But not without detailed information about Wonder Wart-Hog creator and artist Gilbert Shelton, and the writer of this specific story, Bill Killeen. After a break, our comics enthusiasts sift through the long history of comics to turn up 47 different homages to or parodies of Superman! You'll have to listen in and see if we missed any good ones! BREAK: The Hub City Movers, "Set Your Chickens Free" 45 RPM Flexi-Disc included with the comic book "Slip Hønsene Løs" (original title 'Set Your Chickens Free') by Gilbert Shelton issued by A/S Interpresse in Denmark in 1983. In this re-upload from their "segment" days, Chris (@acecomics) and Reggie (@reggiereggie) discuss an issue of Booster Gold in which the hero goes BACK TO THE PAST (just like the fellas do!) 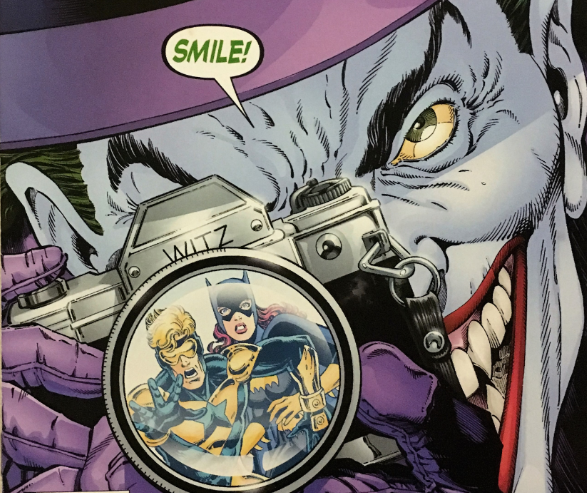 to try and undo the events of The Killing Joke! After going through creator bios, our boys in the time-bubble read through the issue, and close out with a discussion on the event this issue sought to undo... which is sure to annoy some people! Eh, who we kidding, you're gonna love it!